Nowadays, time is money. When you want to eat meatloaf, do you still use your hands to cut the meat into patties? That not only a waste of time, but also the meat may be picked up not delicate enough. At that time, our hand held electric vegetable onion meat Glass Bowl Food Choppers can help you done this work easily. With this 1.8L Food Choppers, you just need to put the meat into the glass bowl and turn on the power and press the switch. Just one minute, you can enjoy the meatloaf very easy. Besides, we also have 0.6L Food Choppers and 1.2L Food Choppers. Hope our Food Choppers can meet your need. Looking for ideal Hand Held Electric Baby Food Chopper Manufacturer & supplier ? We have a wide selection at great prices to help you get creative. 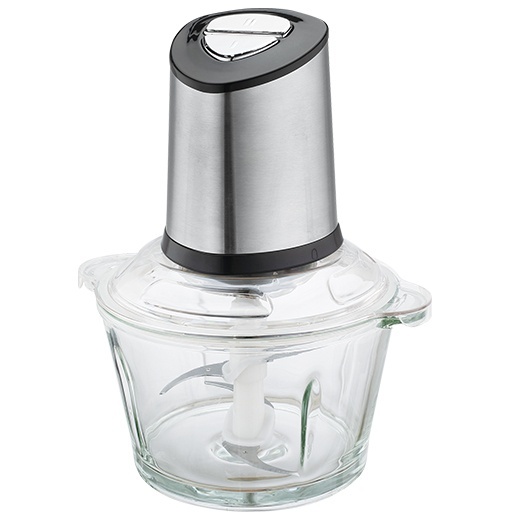 All the Electric Vegetable Baby Food Chopper are quality guaranteed. We are China Origin Factory of Hand Held Onion Baby Food Chopper. If you have any question, please feel free to contact us.